Featuring excellent performances from Steve Carell and Timothée Chalamet – who really should have gotten an Oscar nomination for Best Supporting Actor – Felix Van Groeningen’s powerful addiction drama Beautiful Boy is now available on Blu-ray. While Beautiful Boy has garnered some mixed reviews, this is one of those movies that I had a very guttural emotional reaction to when I first saw it, and it’s stuck with me as one of the most moving films of 2018. This is an extremely well acted piece of work that I absolutely think is worth a look on Blu-ray, and for more on the film itself, you can read my full review right here. The Blu-ray also includes a bonus featurette entitled Beautiful Boy: The Anatomy of a Crisis, a brief piece featuring members of the cast and crew, as well as the real life subjects David and Nicolas Sheff, talking about the importance of bringing this true story of addiction and recovery to the screen at a time when drug overdoses are now the leading cause of death for people under fifty. 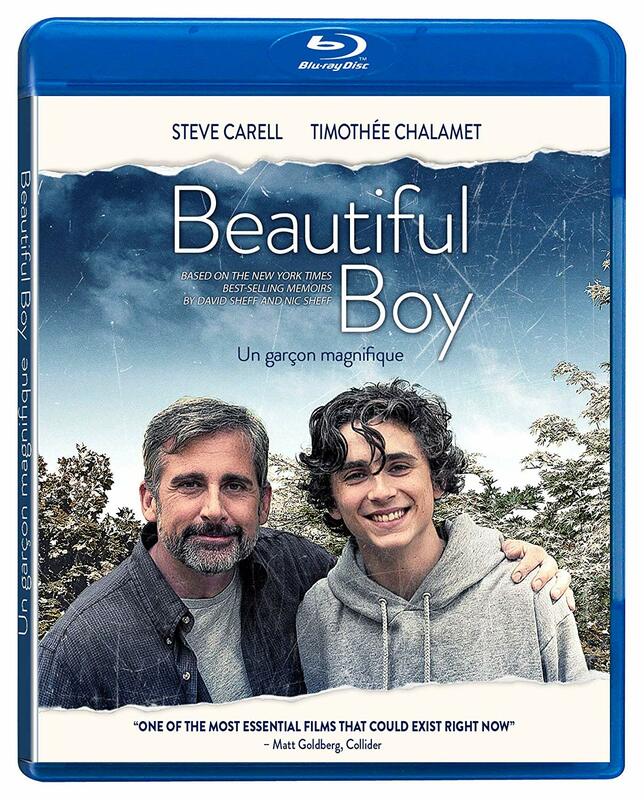 Beautiful Boy is a VVS Films release. It’s 120 minutes and rated 14A.